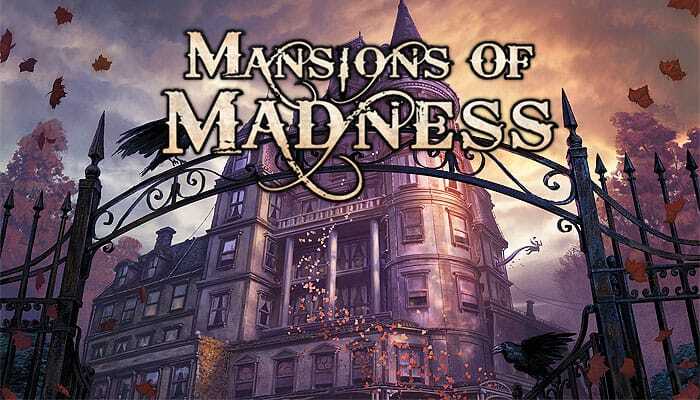 Let the immersive app guide you through the veiled streets of Innsmouth and the haunted corridors of Arkham's cursed mansions as you search for answers and respite. 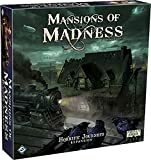 Eight brave investigators stand ready to confront four scenarios of fear and mystery, collecting weapons, tools, and information, solving complex puzzles, and fighting monsters, insanity, and death. Open the door and step inside these hair-raising Mansions of Madness: Second Edition. It will take more than just survival to conquer the evils terrorizing this town. 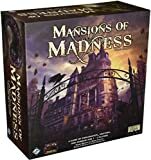 Mansions of Madness is a cooperative game of investigation and horror inspired by the writings of H. P. Lovecraft. During each game, one to five players explore a location to unravel a mystery. Players must work together to overcome the challenges presented to them by a fully integrated companion app. This section includes additional rules not previously discussed, including skill tests, cards, features, monsters, and puzzles. Many game effects cause investigators to suffer Damage or Horror. When an effect causes an investigator to suffer Damage or Horror, he draws the top card of the Damage or Horror deck, respectively. He claims the card faceup unless the effect specifies otherwise.